With paper billing turn off rates averaging less than 3%, utilities in North America have not succeeded in lowering their billing expenses nor realized the significant savings that paper suppression promises. However, it’s not too late for utilities to recession proof their billing cycle. Utilities without a plan to help their customers through these tough economic times may now find themselves burdened with additional expenses from service cut-offs and collection costs. When consumers find it difficult to meet their expenses, utilities bills are often the last ones to be paid. By making your bill the easiest to pay, email billing with integrated one click payment capabilities can drive savings from paper turn off and normalize payments, saving your customers the price of a stamp and utilities the expense of sending the bill. Striata is helping the City of Tallahassee lower billing costs by replacing expensive paper & postage with secure electronic eBills that are delivered to customer inboxes. A number of North American utilities are finding ways to optimize their billing platforms to dramatically lower costs and avoid having to pass the ever-increasing paper and postage expenses onto their customers. Getting a significant number of customers to sign-up for electronic bill presentment and payment has proven to be a challenge for most utilities. Adoption of electronic bill presentment and payment by utility customers across North America has averaged less than 6% over the first three years, with more than half of these customers still receiving their paper bills. Because of this low enrollment and insignificant paper turn off, utilities that are not realizing expected savings have been pressured to pass rising billing costs onto their consumers. In comparison, utilities that have implemented email billing as part of their paperless strategies are seeing a surge in electronic payments and paper turn off. A large North American Electric Association recently achieved in excess of 20% adoption within the first 120 days with Striata email Billing. Proven user adoption methodologies ensure dramatic paper turn-off savings. Encourages faster one click payment from within the bill itself. Provides billers with cost effective cross / up sell and effective transpromo marketing opportunities. Does not require any upfront consumer action, nor requires customers to change their behavior in any way. Does not require the consumer to visit a website, choose or remember login information. More secure than paper or web based billing. Striata eBilling replaces paper bills and statements with rich, interactive electronic documents that are delivered securely and directly to customer inboxes. This enables utilities to reduce their billing costs by up to 85%, while enhancing customer service and efficiency. With most clients achieving full return on investment within the first year, eBilling is an immediate cost saving solution with benefits that reach far beyond reduced billing costs. 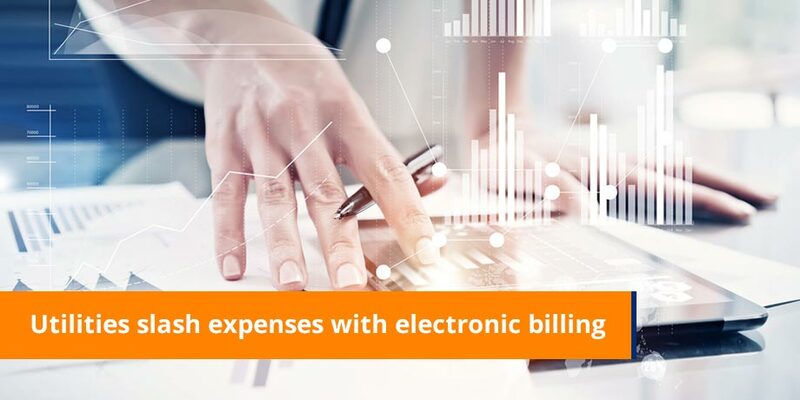 In addition to its ability to help utilities control billing expenses, eBilling has proven to be one of the most significant drivers of faster payments. Unique to Striata eBilling is an integrated electronic payment capability allowing customers to make payments with a single click from within the electronic bill itself. Saving more than 90% of the cost of each bill, this novel integration of payment with presentation is helping to protect utilities from the current economic environment. Striata BillPay has proven to increase the amount of payments received electronically and to reduce Days Sale Outstanding (DSO – the time that it takes for the biller to be paid). In contrast to a recent survey that points to an increase in delinquent payments, most customers pay within a day or two of receiving their Striata eBill. By helping utilities mitigate billing expenses, and simultaneously improving their cash flow, Striata eBilling protects utilities from unnecessary credit and collections costs and other recession related expenses. Striata provides services and strategies to many well known utility brands. These clients are successfully using Striata solutions to replace paper intensive processes with electronic bill presentment and payment. While most utilities are barely achieving 1% paper turn off adoption per year, Colorado’s Intermountain Rural Electric Association (IREA), achieved 11% adoption in the first month of launching their electronic bill presentment and payment (EBPP) initiative. Of the IREA members enrolled in eBilling, more than 50% pay within a day or two of receiving the bill in their inbox. IREA achieved these impressive results by embarking on an aggressive opt-out strategy that automatically enrolled every customer with email into the eBilling program.